All eyes today will be focused on Peyton Manning, Drew Brees and of course, Brett Favre. 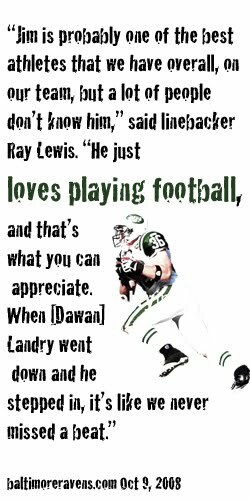 But among the players on four teams battling today for a chance at the Super Bowl, none - not even the aging quarterback who's turned the last two years into a soap opera for his longtime fans - have a better story that the New York Jets' starting strong safety. Standing all of five feet, eight inches and weighing in at 185 pounds, Leonhard is the last guy you'd think to be a step away from the Super Bowl. But that's where Leonhard finds himself today - for the second straight year. A little more than four years ago, Leonhard couldn't have possibly expected to end up in this position. Undrafted after an amazing career at Wisconsin, Leonhard signed with the Buffalo Bills where he would end up the only undrafted player on the 53-man roster. Of course, it helped that he'd done it before. Leonhard was recruited to Wisconsin as a walk-on after a standout career at Flambeau High School. It didn't take long for Leonhard to make an impression. "A few days into two-a-days, I told the secondary coach to get that little guy off the scout team and on to our two-deep (roster) with us," says Barry Alvarez, the former Wisconsin head coach and current athletic director. "He just had that knack about him -- and still does; he was always around the ball and just has such a good feel." He saw extensive action in the Badgers' nickel formation as a freshman but by the end of his sophomore year, he was al All-Big Ten selection. Named a captain his junior year and finally earned a scholarship for his final season in Madison. By the time he wrapped up his Wisconsin career, he'd own a share of the school record with 21 interceptions and his 1,347 punt return yards stood as a Big Ten Conference record until Michigan's Steve Breaston passed him in 2006. "He's such a tremendous athlete," Alvarez says. "He's very intelligent. He understands the game." Leonhard would sign with Baltimore before the 2008 season after impressing Ravens' defensive coordinator Rex Ryan during a tryout. He was moved into the starting lineup in place of injured Dawan Landry and was a key component in the Ravens' run to the AFC Championship game a year ago. When Ryan left the Ravens to become the Jets' head coach this season, he did all he could to get Leonhard to come, too. Ryan signed Leonhard to a three-year, $6 million contract and dealt Abram Elam away, installing Leonhard as his starter. He was fourth on the team with 76 tackles during the regular season and is second in the post season with 10. In the Wild Card playoff against Cincinnati, Leonhard sacked Bengals quarterback Carson Palmer, forced a fumble and finished with four tackles. He had six tackles last week against San Diego and picked off Phillip Rivers for 11 yards. Alvarez plans to watch the game today and say's he's "absolutely" rooting for Leonhard and the Jets. "I'm so proud of him," Alvarez says. "I was in Florida last week and met a Long Island guy ... a big Jets fan. I told him, if he wants to have fun during the game, he should watch No. 36 and I told him the Jim Leonhard story." Of all the story lines in the NFL on Championship weekend, few are better.